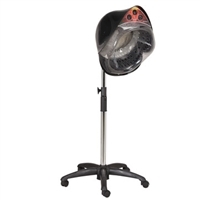 The Spa Mist II is a multi-function hair, scalp, and spa treatment system for deep conditioning and processing. It enhances salon treatments by generating a fine mist of microscopic water particles. It gently opens up the hair’s cuticle layer for deep conditioning of the hair, scalp and allows for an added hand spa treatment. With a simple to use, light and portable design, the Spa Mist II delivers clients a truly relaxing facial for their hair and comes in Black, White, or Brown. The SuperAire is the most sophisticated professional salon dryer on the market, with the largest hood in the industry to accommodate for foils, rollers, and rods. Independently control time, temperature, and fan speed. Available on floor stand with casters only. 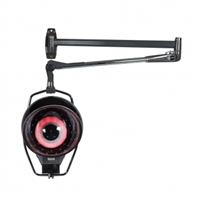 Variable time, temperature, and fan speed settings allow you to easily and quickly select and change settings. Dual hood assembly with clear hoods. Industry largest hood accommodates foils, rollers, and rods. Articulating hood angle pivots dryer head forward and back allows customers easy access in and out. Telescoping pole assembly for adjustments to various seated and client heights. Heavy-duty roller caster base is designed to provide a stable footprint and allow the dryer to be pulled up close to backs of salon seating.